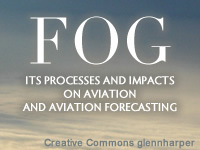 This module first introduces forecasters to aviation-forecast customers and their needs, and discusses how fog impacts aviation operations. The main content of the module then explains the physical processes and life cycle of radiation and advection fog, including their preconditioning environment, initiation, growth, and dissipation. The processes covered in the module include radiation (both solar and longwave), soil-atmosphere thermal interactions, turbulent mixing, the roles of condensation nuclei, and droplet settling. Each section of the module includes a set of interactive questions based on the information presented. The module concludes with a discussion of the physical processes and life-cycles of terrain-induced and pre- and post- frontal fog. This is all on the job training, these are the best educational job aid training tools, available, as far as online training, thanks to technology. Its a very wide topic and quite challenging especially to remember the processes of the all types of fog formation , maintenance and dissipation. Explain the characteristics and processes that influence terrain-induced and pre- and post- frontal fog events. April, 2012: This module has been updated to include information about fog formation in the tropics due to differences in the lower atmospheric structure. These changes supplment rather than change the overall substance of the material taught.